There are tons of monitors in the market these days, ranging from your $50 run-of-the-mill basics with a single VGA or DVI port to your top-of-the-line Ultra-High-Definition (UHD) monitors with multiple HDMI and display ports. Having said this, if you want a top-of-the-line monitor with the best technology like 4K and High Dynamic Range (HDR) support, you are usually looking for quite an investment. Almost everybody is familiar with 4K monitors since they have been around for quite some time. These types of monitors can also come with integrated HDR support; however, devices that come with both 4K and HDR support aren’t that common in the market, thus making BenQ EL2870U monitor something unique and rare. The EL2870U is a 28-inch 4K gaming monitor that is designed using the classic Twisted Nematic (TN) display technology. 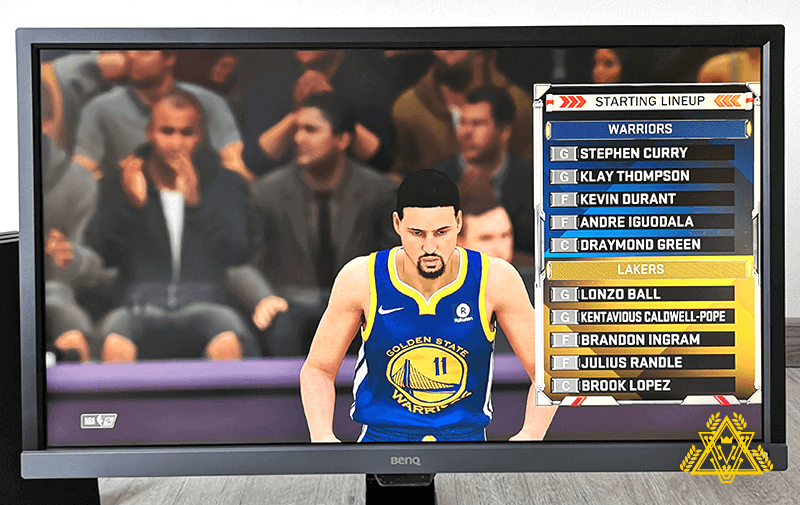 Unlike other 4K monitors in the market, the BenQ EL2870U may seem to be a relatively affordable 4K monitor, but don’t be fooled into thinking it’s a bargainous entry into the beautiful, brightly-colored world of high dynamic range gaming. What makes the EL2870U different from your usual 4K gaming monitor is that this monitor not only has a super-fast 1ms response time, but it also has HDR compatibility – a feature that is commonly linked to Advanced Hyper-Viewing Angles (AHVA) and In-Plane Switching (IPS) monitors. This monitor’s ability to provide breathtaking visuals with its 4K display and HDR support makes it ideal for all types of uses on both PC and 4K HDR console gaming like the PlayStation 4 (PS4). The BenQ EL2870U features a minimalist design, and the simple grey color tone works well with the monitor, giving it a futuristic touch. The EL2870U has moderately thick bezels (~18mm thick at the sides and ~23.5mm at the bottom) with some weight and heft to it. Pairing with a small but sturdy base, the monitor sits solidly on any desk. In contrast with the AOC I2757FH known for its ‘borderless’ design, the EL2870U still feels a bit thick on its bezels. Nonetheless, comparing them side by side, one can see that EL2870U is a more sleek and well-designed monitor. Along the rear side of the monitor are the inputs which are all designed for easy access. It has two HDMI 2.0 ports, one 1.4 Display Port and a 3.5mm audio jack. Other buttons are situated on the bottom right to change the monitor’s settings as well as to power it on. Also, there’s an additional button located on the front right side of the monitor with a shiny gold badge, giving you control on its HDR; the button helps the display if the mode is set on active. This feature can be utilized to automatically start-up the BI+ (Brightness Intelligence Plus Technology) or the HDR mode even when the content doesn’t support HDR mode. The monitor also offers 100 VESA holes, centrally, for alternative mounting to be used with an aftermarket arm or bracket. This standard mounting hole pattern provides you with the luxury of mounting it if you are not keen on using the default stand. The BenQ EL2870U features a 27.9 inches screen with a max resolution of 3840×2160. What’s even better is its fast 1ms response time, 60Hz refresh rate and 1000:1 contrast ratio. With a brightness of 300 and an available LED backlight, the display looks stunning, the colors are vivid and punchy, adding excellent details to your gaming and HDR video content. The super-fast 1ms response also eliminates motion smear for smoother video and gaming. Dynamic action and dramatic transitions are rendered perfectly without lag or ghosting, giving you vibrant, realistic, and precise images. The monitor’s ability to display HDR content even without any HDR signal is mainly due to its HDR emulation from BenQ. It brightens up the visuals while also improving the image contrast. Precision brightness is what this gaming monitor offers, and it provides ultra-fine details for your viewing and gaming enjoyment. The EL2870U’s HDR hotkey on the front can allow you to readily switch from four levels of BI+ and HDR modes based on specific conditions in diverse viewing environments. This feature also lets you enjoy brilliant HDR display performance while simultaneously maintaining increased levels of viewing comfort when watching or gaming in dimly lit environments. Global safety authority TÜV Rheinland certifies BenQ EL2870U’s High Flicker-Free, Low Blue Light, and Brightness Intelligence Plus as truly friendly to the human eye. Brightness Intelligence Plus (BI+) Technology reduces eye strain in any lighting environment due to prolong usage. The BI+ leverages on its light sensor that is fixed on a panel to detect ambient brightness as well as color temperature levels. By doing so, it automatically adjusts on-screen brightness and color temperature to fit your surroundings. It also gradually adjusts the screen’s brightness based on your usage time. This feature protects your eyes while simultaneously delivering adequate image quality for that specific environment. Part of the Eye-Care technology is BenQ’s High Flicker-Free and Low Blue Light technology as well. These are features that are necessary for a gaming enthusiast who is concerned about the effects of prolonged hours of staring at the screen. Watching 4K videos on EL2870U is pretty enjoyable as it can produce clearer, deeper and richer images. Fine details can be seen clearly so you can surely take advantage of this excellent viewing experience from EL2870U. On top of this, the EL2870U’s extreme resolution enhances the standard image quality while gaming or watching films, even much more accurate for HDR content like on the PlayStation 4. Since the EL2870U is being designed for casual gamers who want an affordable 4K gaming experience, BenQ has incorporated support for AMD FreeSync to help enhance the experience for gamers. Perhaps this is one of the best features offered by the EL2870U, an adaptive sync technology that reduces screen tearing in games by synchronizing the refresh rate of the monitor to the framerate of an AMD Radeon video card. Both the AMD FreeSync and Nvidia G-Sync behave very similarly, but essentially the main difference is the cost. 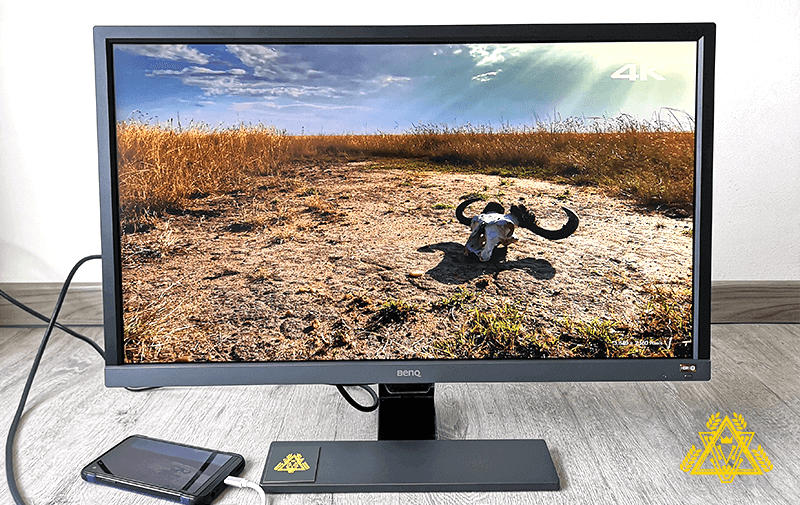 The BenQ EL2870U is an excellent 4K affordable gaming monitor, and it has everything a gamer can ask for in a budget-friendly 4K gaming monitor. It also has useful daily features if you want to limit eye fatigue with its eye-care technology. However, one drawback of this monitor is its audio performance. Even at full volume, they sound thin and distant. Therefore, it is recommended to get a set of external speakers or a good gaming headset. Other than this, the BenQ EL2870U is still built with quality and superb implementations that gamers and enthusiasts look for. An excellent 4K affordable gaming monitor, and it has everything a gamer can ask for in a budget-friendly 4K gaming monitor. Useful daily features to limit eye fatigue with its eye-care technology.